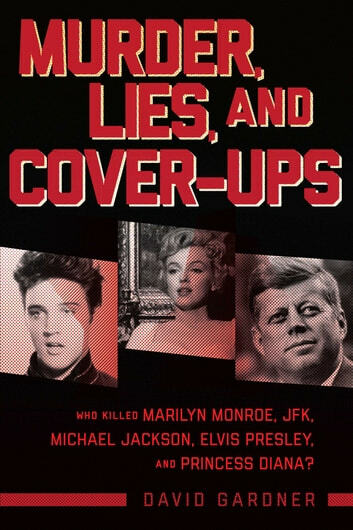 Who Killed Marilyn Monroe, JFK, Michael Jackson, Elvis Presley, and Princess Diana? After combing through thousands of recently declassified FBI files and interviewing key witnesses, crime analysts, and forensic experts during years of research, investigative writer David Gardner has unearthed new information that will transform the way we look at these iconic tragedies that have long fascinated and intrigued the general public. 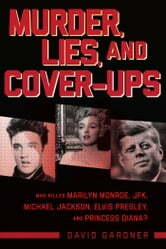 Murder, Lies, and Cover-Ups reveals that Elvis Presley died not as a self-obsessed caricature but as a genuine hero who may have signed his death warrant going undercover for the FBI; how Marilyn Monroe's secret affairs with JFK and his brother, Robert, left her in the crosshairs of a lethal conspiracy; why Princess Diana's death was no accident; who ordered President John F. Kennedy's assassination; and how on three occasions Michael Jackson “died” of painkiller drug overdoses in the months before his death.